Landslide Ninja by Eternal Game BROS.
My team and I worked on Landslide Ninja project in 2018, I was in charge of all images and illustrations in the game: character design, Item design, background design and all other graphic designs including animation. We designed each zone of the game with a unique environment that will be distinct from the other. Since the game is vertical, I made sure that the gradients are smooth and easy on the eye. 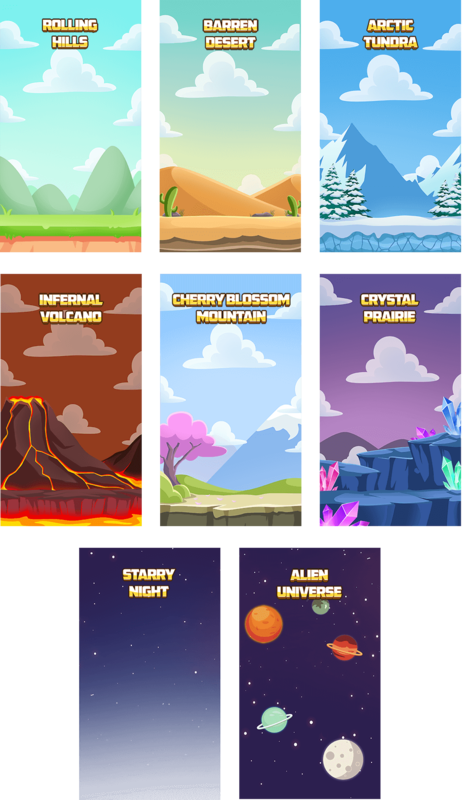 Here are the different area comparable to the level difficulties. To establish a consistent world, I also instructed my team to design a block for each area that will fit perfectly with the environment. 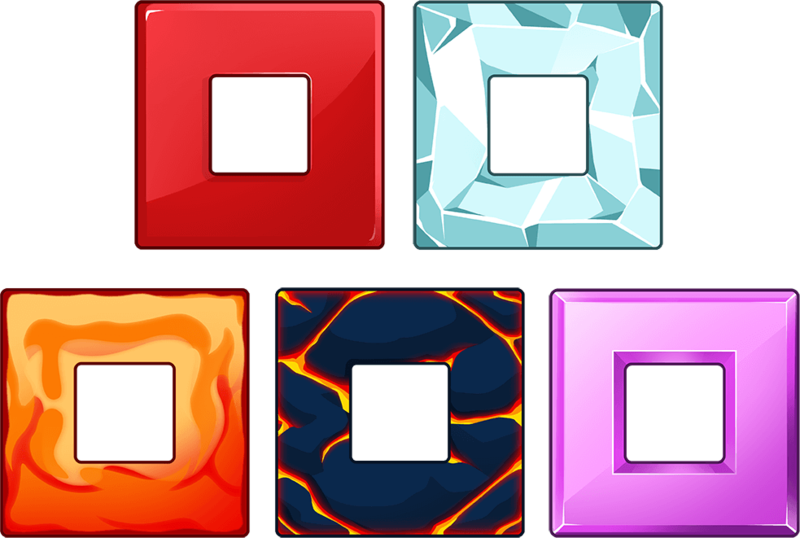 We have the basic block, ice block, fire block, lava block and diamond block. It was planned initially that players can customize their heroes. My team had a lot of fun dressing up the Ninja with unique costumes and accessories. Check out how our hero looks with accessories and costumes equipped! Here are more of the accessories and notifications we designed for the game. There are over 500 Accessories but let me share a few of my personal favorites. 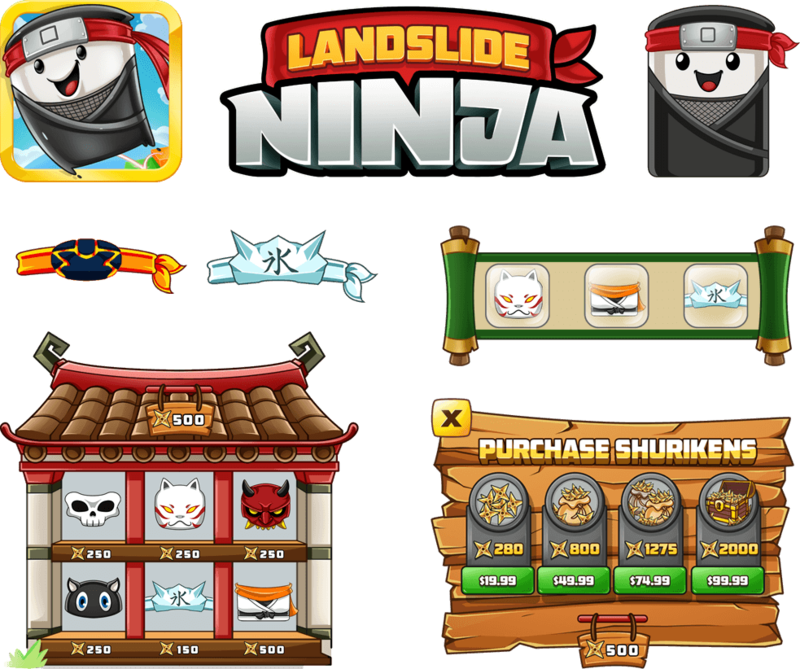 Landslide Ninja is available to download for Free! a logo or mascot designed for your brand, just reach out to me and click the button bellow. Get a FREE Consultation and let’s start with your project! Father of a beautiful little girl, Harvey spends his day juggling married life and productively working with his colleagues and clients across the world while his cat sleeps on his lap. All images used in this website are designed by Harvey Lanot and owned by their respected owners. Please do not steal them.